Profesional sculptor John Jagger has dedicated 45 years to his artwork and it shows in these impressive metal pieces. 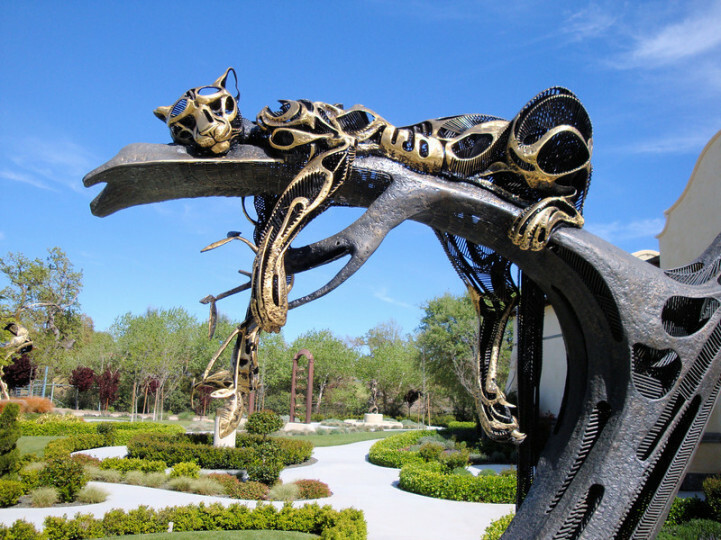 A number of the works are on display at the Sculpterra winery and sculpture garden in Paso Robles, California as well as many other venues throughout the United States. Focused in metal work, his creations have such a natural life-like style to them while still being abstractions of their real-world counterparts. Beautifully detailed and masterfully produced, Jaggers' works are one-of-a-kind and you can view more of them at Sculpterra's website listed below.